Following the Scottish ‘Victory‘ over the English in the Battle of Stirling Bridge in 1297, William Wallace was a Scottish hero, and very much sort after by the King of England, Edward I. In 1303, Wallace was meant to have visited St Margaret’s Shrine in Dunfermline, (see Jo’s blog, The Hazel Tree, for an excellent post about St Margaret and Dunfermline Abbey), but had to hide from English ‘scouts’, in a well in what is now Pittencrieff Park, just below the ruins of Dunfermline Palace. Unfortunately for William Wallace and the Scottish, he was captured by the English in August 1305, and later that month taken to London where he was tried for treason, and then hung, drawn and quartered. Pittencrieff Park, situated on the far west side of Dunfermline, is one of my favourite parks’ in the whole of Scotland. Below are a couple of photographs of the ‘Flower Garden and Greenhouses’, just the formal part of this magnificent place. The greenhouses were originally built in 1904, but were replaced in the early 1970’s. 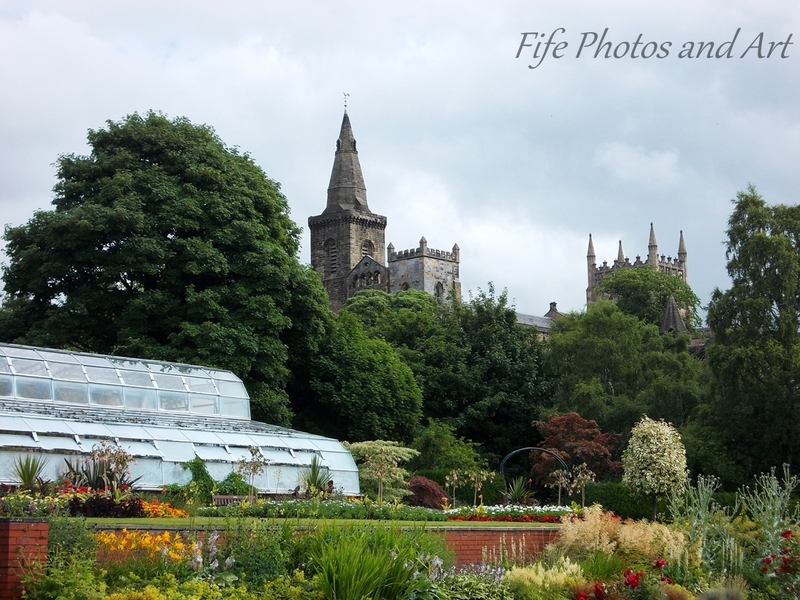 Greenhouse in Pittencrieff Park, with Dunfermline Abbey in background. 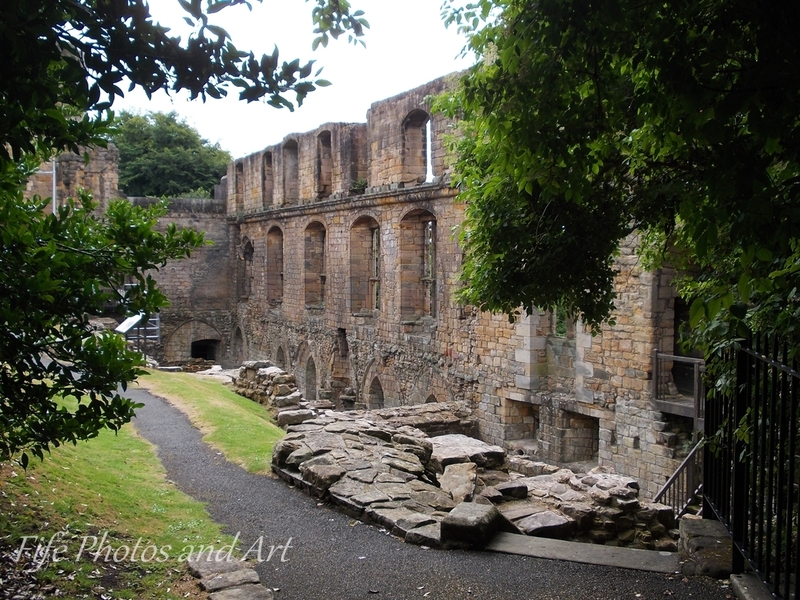 This entry was posted in Fine Art Photography, History, Weekly Photographic Challenge and tagged Dunfermline, Dunfermline Abbey, Dunfermline Palace, Fife, landscape photography, Pittencrieff Park, Scotland, Scottish history, William Wallace. Bookmark the permalink. Love this story, Andy, and thank you very much for the link and your kind words! 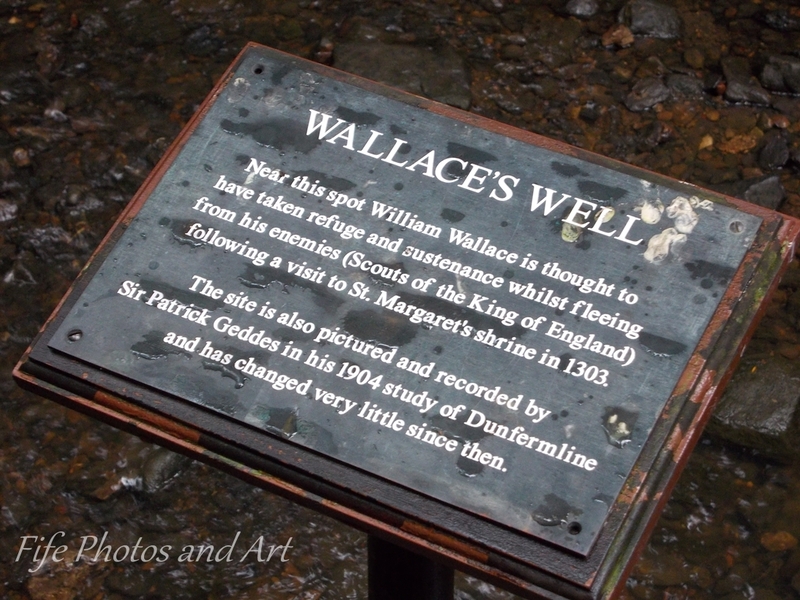 I didn’t know about the well and its connection with William Wallace. 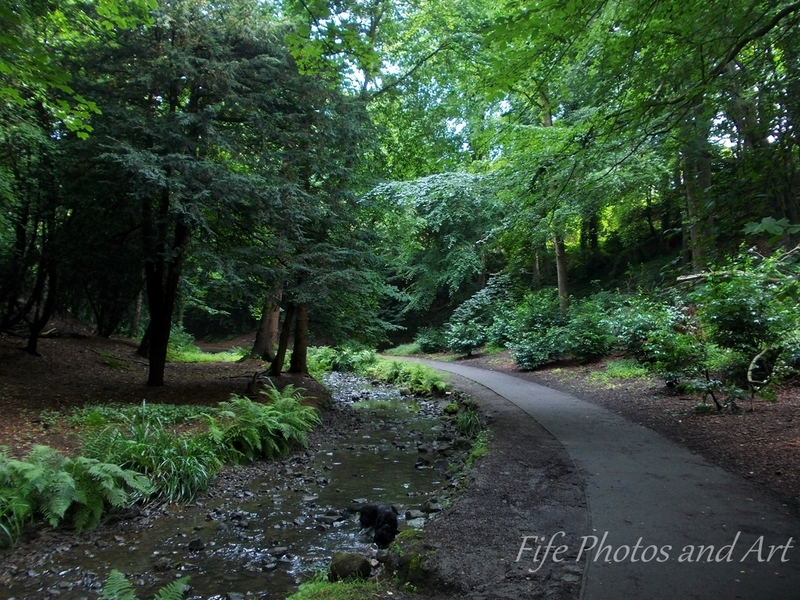 I must take a walk around Pittencrieff Park next time we’re there. 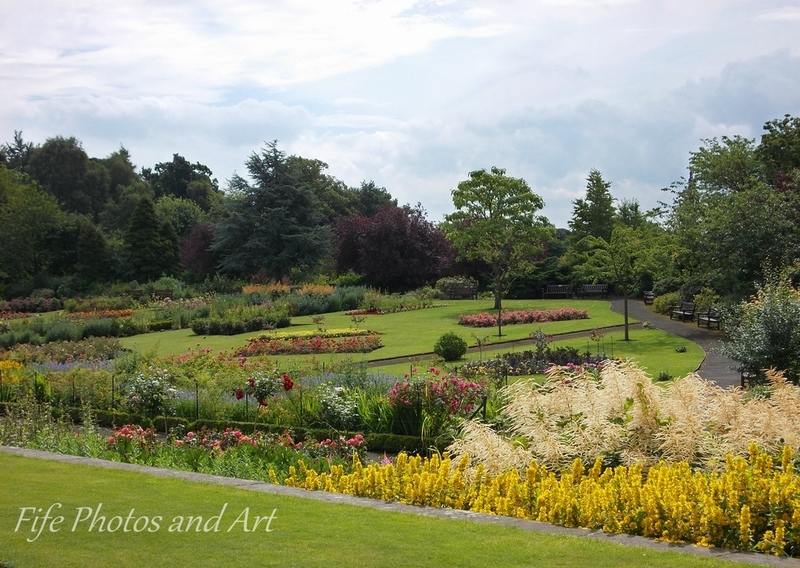 It was lovely to visit Pittencrieff Park through your blog. I love the photos of the formal garden, I’d forgotten how nice that bit was. Fabulous post, Andy. 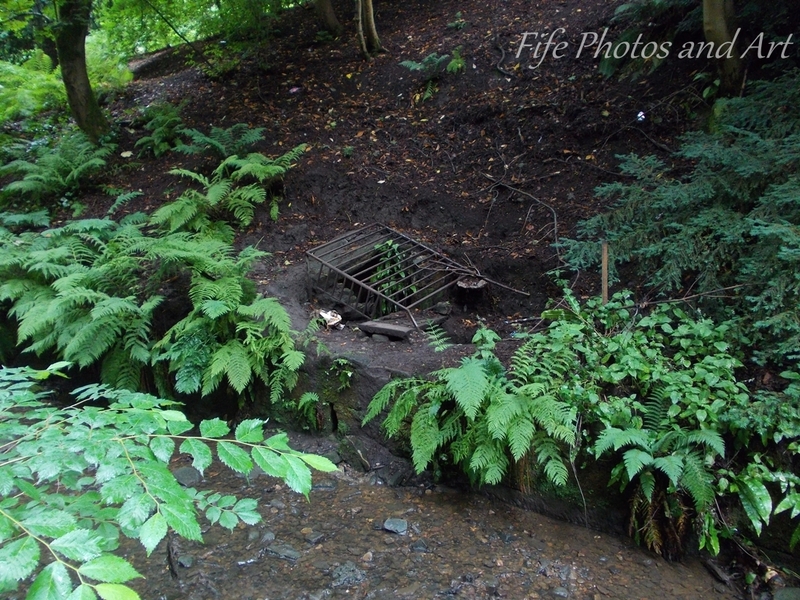 Your photos of Pittencrieff Park are lovely! It looks like a beautiful place to visit – and overlooked by that wonderful abbey, too. I also enjoyed reading the history you added: the story of William Wallace is fascinating. He was one of many throughout history who suffered that awful death. You certainly must do a post on Southport, I know very little about the whole of that area. I know very little about Manchester too, and my Mum is Mancunian!! There aren’t that many town parks in the UK that are overlooked by both an Abbey and a Palace!! I forgot you still need to write your books Millie 😦 I take my hat off to you, I struggle to write the brief wee bit about each post! LOL! Wonderful history and pictures!! love this post! Really nice to learn and see beauty! Thank you Martina 🙂 We are lucky having so many old houses and castles to visit. These are simply beautiful! Thank you so much for sharing. I surely wish I could visit these places in person. Love your Wallace references, I’m taking on a project to open The William Wallace Community & Events Centre in Ardrossan, North Ayrshire. My blog details my exploits.